On 6 October 2016, a Boeing 747-438, registered VH-OEH and operated by Qantas, departed San Francisco International Airport, United States, for a flight to Sydney, Australia. Soon after departure and during the climb, the crew became aware of an abnormal vibration in the area of the left over-wing door. There were no cockpit indications or associated procedures to manage the observed vibration. Consequently, the flight crew were required to use their professional judgement to assess its impact on the flight. The crew utilised available crew resources and maintenance expertise to troubleshoot and assess that the flight could safely continue to Sydney. 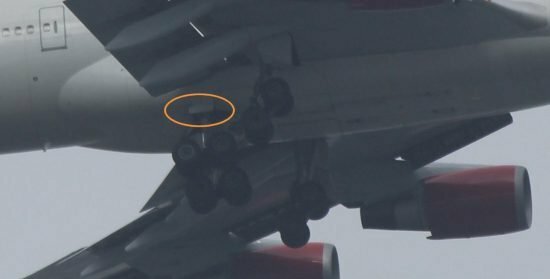 The ATSB investigated this incident and found that during departure from San Francisco International airport, and unbeknown to the flight crew, the aircraft sustained impact damage from a birdstrike. The birdstrike sheared a landing gear door strut resulting in the door not closing. That in turn led to turbulent airflow and in‑cabin vibration. While the birdstrike resulted in a landing gear door not closing, the overall impact on the flight was minimal. Larger doors that have the potential to cause damage have warning systems to indicate if they have not operated as selected. There was no additional wear or damage to any of the landing gear components. The landing gear door strut was replaced and the aircraft returned to service. The ATSB states that this occurrence highlights that, even with the assistance of sophisticated technology and systems, flight crew may experience situations that can only be managed using their professional judgement. In this case, the flight crew utilised the support of both on-ground maintenance personnel and cabin crew to methodically troubleshoot the source of the vibration and assess that the flight could be safely continued to the destination airport.